﻿ Duterte to corrupt immigration staff: I will kill you if you mess with tourists! Duterte to corrupt immigration staff: I will kill you if you mess with tourists! Duterte has said that any officials bother tourists will be killed to transferred to the terrorist stronghold of Jolo Island. File photograph. President Duterte has threatened corrupt immigration officials with death or deployment to the terrorist stronghold of Jolo Island. The president told Bureau of Immigration staff to leave the country’s tourists alone — particularly the Koreans and Chinese — after getting reports about the “stupid things” happening at the bureau. Speaking during a visit to Iloilo province today (Wednesday, June 20), he said: “To the immigration, once tourists have left the airport, got an arrival stamp and he is given so many days, do not ever go near them especially the Koreans and the Chinese. 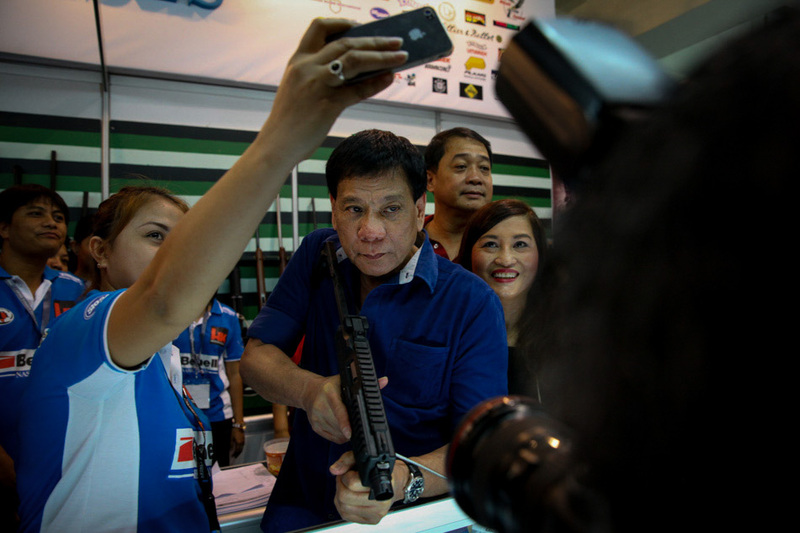 The president also warned personnel against committing corrupt practices, such as extortion. “There’s a lot of stupid things going on. Do not do that because one mistake, I will hit back. Either I’ll kill you, make you an example or throw you in Jolo,” he said. Koreans and Chinese tourists are the largest cohorts of foreign visitors of the country. The president then made specific mention of the so-called“tanim-bala”, or bullet planting scam, at the country’s airports. As we reported last week, a passenger at Manila’s airport claimed to have been a victim of the scam, which was prevalent under the previous administration. Upon taking office, the president staked his authority on stamping out the practice. Bosses at the Ninoy Aquino International Airport have denied that the discovery of the bullet was a scam, saying that the passenger was allowed to continue on her journey without having to pay a fine. Six soldiers have been killed while six others were wounded in an ambush allegedly staged by communist rebels in Samar province. Philippines Lifestyle News shared a post. How many have we achieved? A 6.5-magnitude earthquake has shaken the Eastern Visayas less than 24 hours after a quake in Luzon left at least 16 people dead. Government agencies are scaling up preparations for the “Big One” — the long-feared earthquake expected to hit Manila one day. We can make it to the moon... so why can't we predict earthquakes? Can earthquakes ever be accurately predicted? This question is timely after Surigao was shaken by a quake last week.